When people hear the word camino, most will think of the trail that crosses northern Spain ending in Santiago de Compostela. El Camino de Santiago (the Path of Saint James) has been a popular pilgrim trail for both faithful and repentant sinners since the 9th century, so much so that by the 12th century over two hundred thousand peregrinos (pilgrims) were registered in a single year! Today, the historical path is more prominent than ever, as people travel from all over the world to walk the famous Camino. But even the Camino has many incarnations, or many caminos as it were. There is the highly trodden Camino francés, the Camino del norte, el Camino Portuguese, el Primitivo and the Ruta de la Plata to mention the most common ones. One might say that all roads lead to Santiago de Compostela, since one can start walking almost anywhere in Europe and end up there. 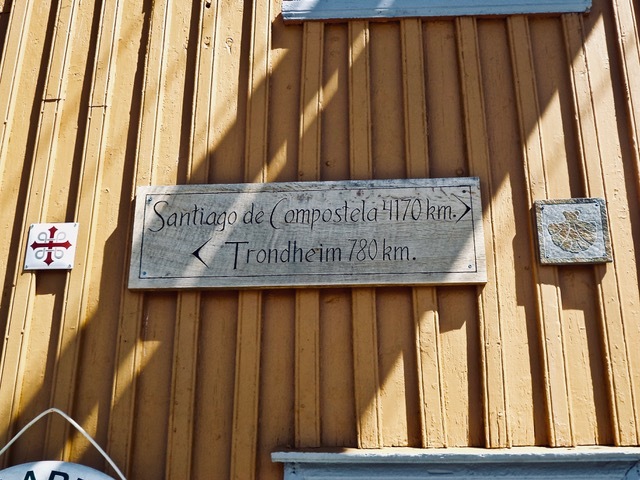 There is even a Camino starting in Trondheim in central Norway! So, why are there so many caminos? To get an answer to this, we first have to look at the meaning of the word. 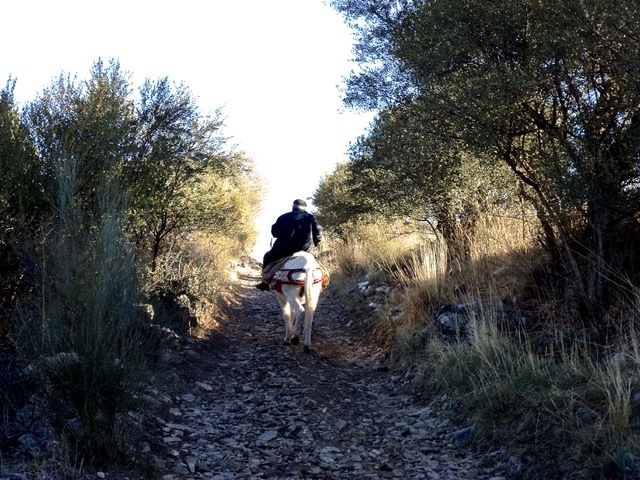 Camino in Spanish can mean road, path, track or even highway. In addition, the word also has a less geographical or more symbolic signification of the way, as indicating that someone has lost or found their way. 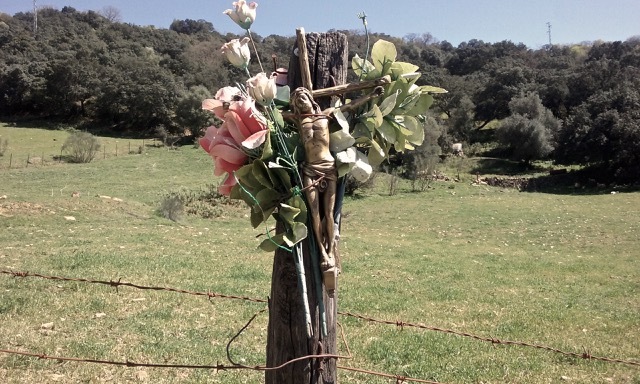 With such a wide range of interpretations, a camino can really be anything. In fact there are thousands of caminos in Spain, the vast majority of which do not have the same prestige or fame as the Caminos referred to above. But in my view, every camino has its graces. 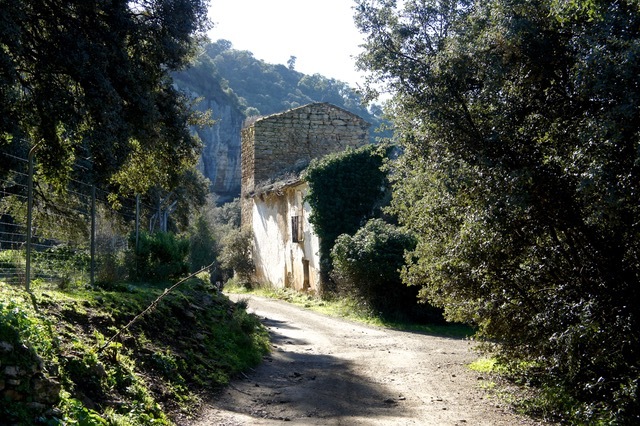 Andalucía are full of long and short, rural and quasi-urban caminos and we have had the privilege of exploring quite a few. Most will start in a village, leading one through farmland and past natural landmarks on the way to yet another village. Some have been around for centuries, following natural canyons and valleys to ease the passage of its users. Many would have started out as trade routes for arrieros or muleteers, the traditional traveling merchants that went from community to community carrying their wares on the back of donkeys. 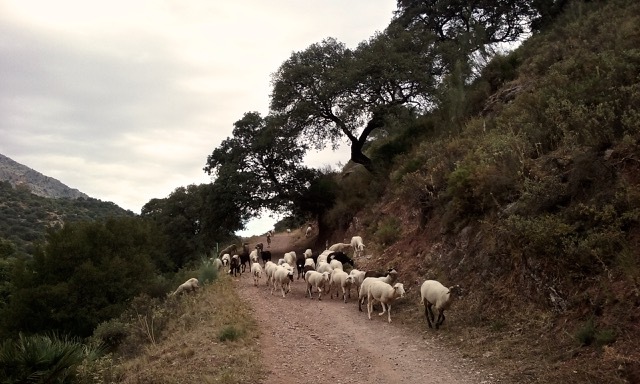 Some Andalucian caminos also have religious significance, such as the paths pilgrims took to get to the annual Rocío celebrations, which thousands of people still do today. Other caminos go back to the time when the Romans ruled the Iberian peninsula. 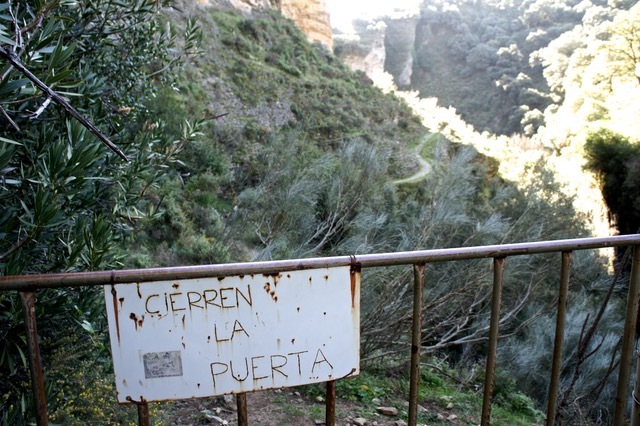 One such trail, which we often take, actually used to be the main walkway to get from Ronda to Gibraltar. 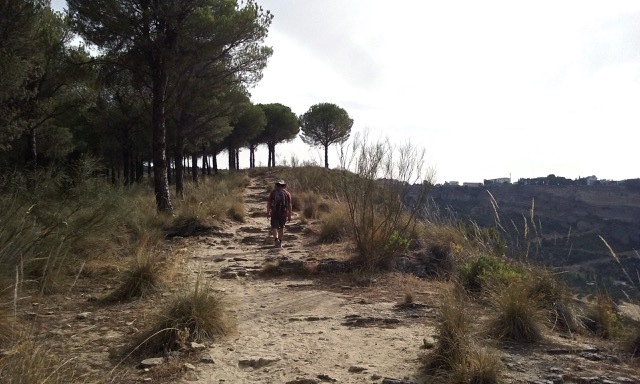 One clear advantage of choosing a less famous camino is that it will be less crowded. Fewer trailblazers to share the path with is certainly a plus when it comes to appreciation of ones natural surroundings. Even those of us who are not real pilgrims can have quite a spiritual experience simply walking a camino, enjoying the peace and quiet. And peaceful it is. On most caminos we frequent here in Malaga province, we are hard pressed to meet a handful of walkers during a full day of hiking. On some, we do not meet a soul, other than possibly a flock of sheep. 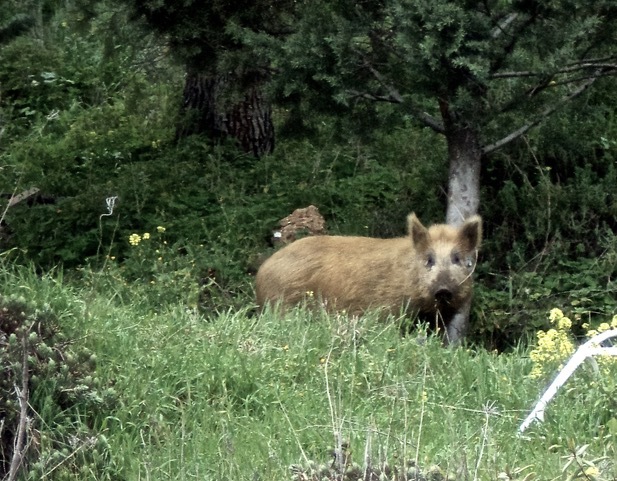 Otherwise, one may wonder if one will encounter wild and dangerous animals on the more remote Andalusian trails. As far as toros bravos (the animals they use for bull fighting), most of these are thankfully behind fences. There are times when you have to cross a field with cattle, but if you walk quietly along and close the gate after you, you shouldn’t have any problems. In years past, packs or wolves and roaming wild dogs were a threat to Camino pilgrims, as mentioned in the books of Paulo Coelho and Shirley MacLaine on the subject. But these days, wolves on El Camino are things of the past. 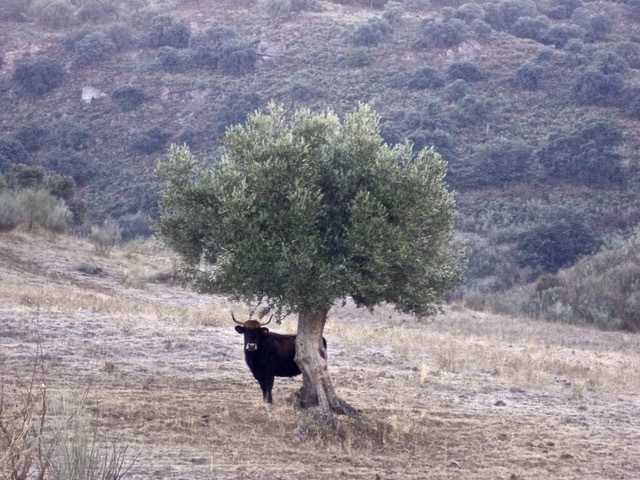 Here in Andalucía, most wild animals have unfortunately been hunted to extinction. The indigenous Iberian wolves and the Iberian bears are long gone from these lands. 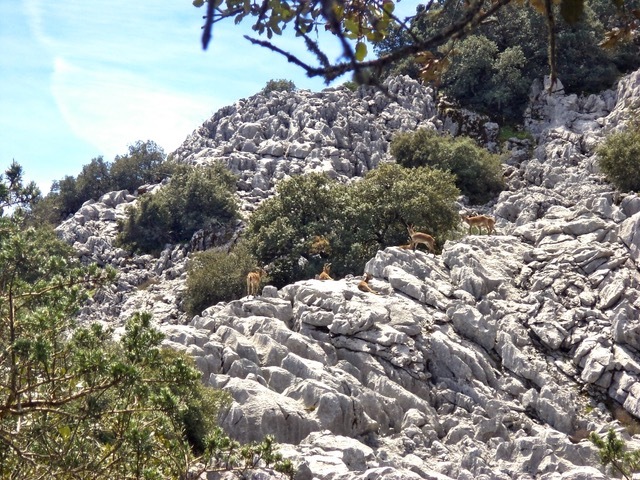 As far as the wild goats that have been reintroduced into the Andalusian sierra, these will try to stay as far away from humans as possible and offer no threat. 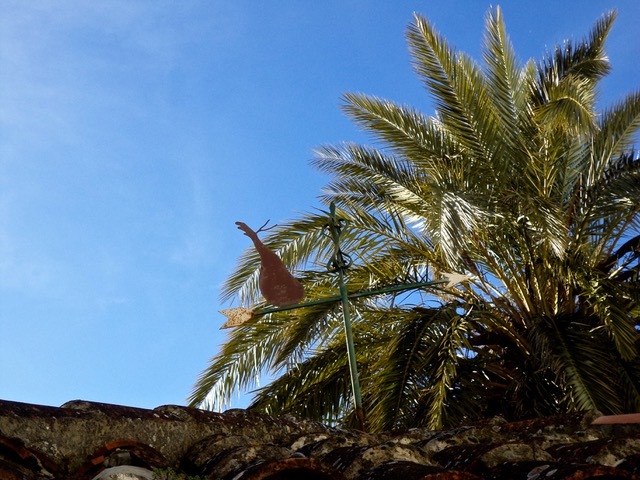 What are the other potential dangers of choosing a more remote camino here in the Spanish south? There is of course the risk of getting lost or hurt, getting a sun-stroke or being caught by a storm, but those are all part of being in nature. 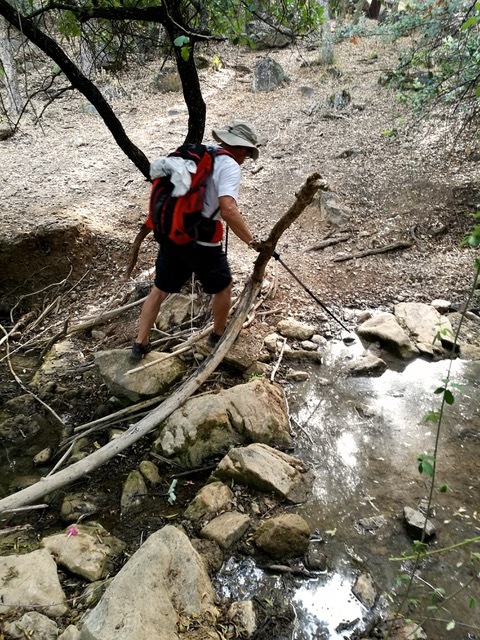 Bringing enough water and the right equipment, as well as knowing ones trail or bringing a guide is a must in our sierra. As far as reptiles, Andalucía has only one venomous snake specie. 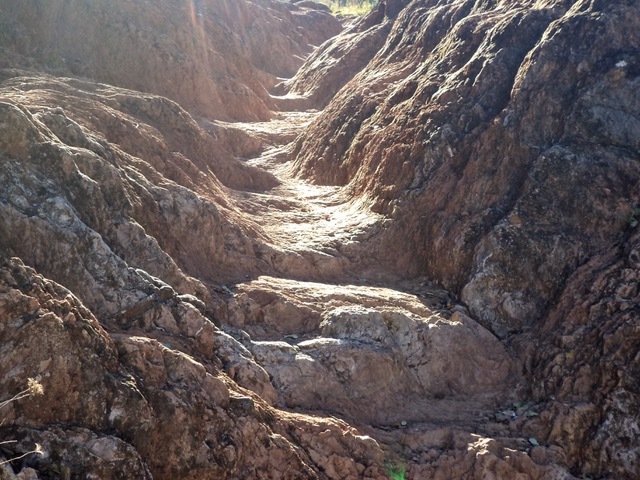 I have nearly stepped on snakes sun-tanning in the trail on several occasions, though I do not think they were the poisonous adders. At any case, since the snakes were more shocked than myself by our meeting, they were off before I could verify further. 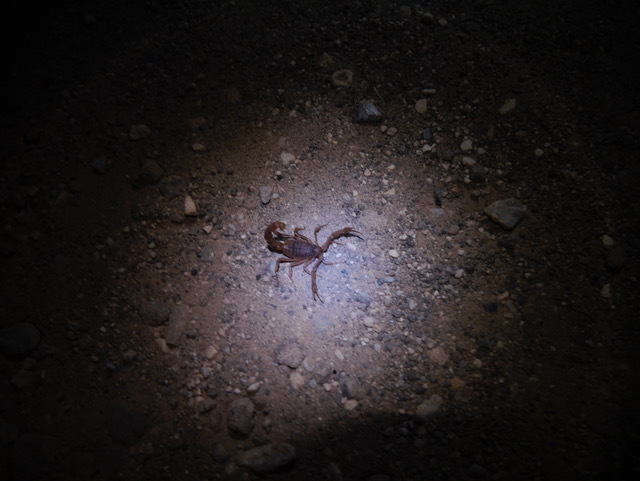 Walking at night with headlights, we also see alacranes, or scorpions with their tails lifted in aggressive attack mode. These might not be as deadly as in other countries, but should understandably be avoided. Similarly, one should not dig around too much in stones for the same reason. 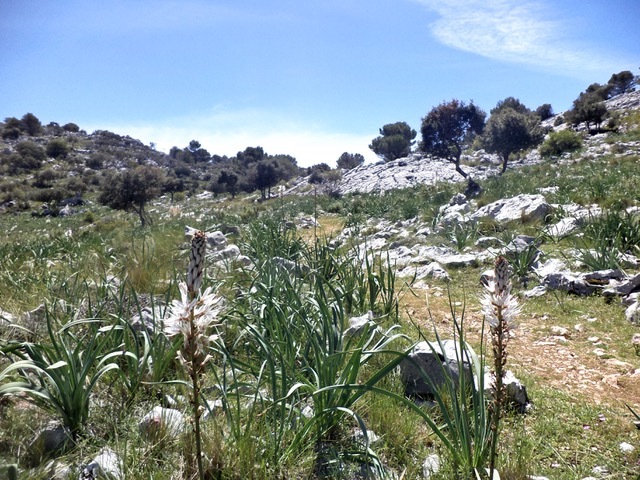 Finally, insects pose no threat to Andalucian trail walkers, but the flies can be very pesky. 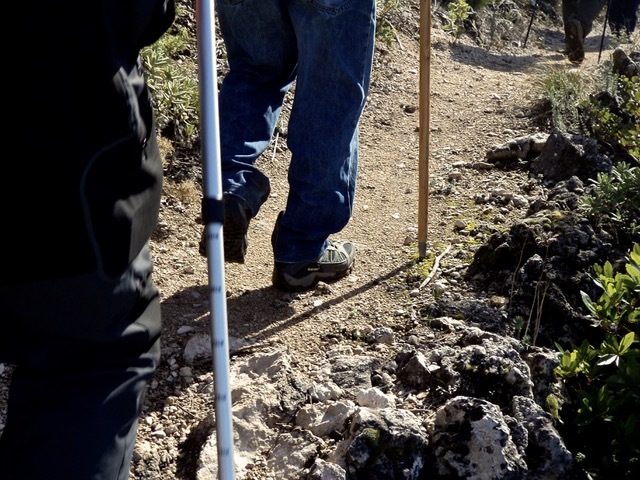 Though most trails here are pretty well marked, you might always loose your way, or your camino. 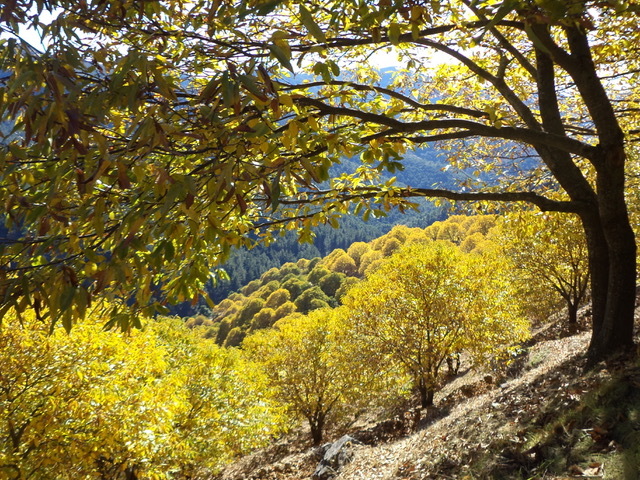 The best marked and best kept trails in the territory is la Gran Senda de Málaga (the Great Malaga Path or GR 249 for those who likes looking at maps). This pioneer project is like an Andalucian alternative to the Camino, just without the pilgrim staff. The 660 km 35-stage triangular trail passes through 51 (mostly rural) municipalities, 4 nature parks and 2 nature reserves along the coast and the inland of Malaga province. We have done several of these stages, usually covering a couple of sections in a day’s hike, and would fully recommend it. 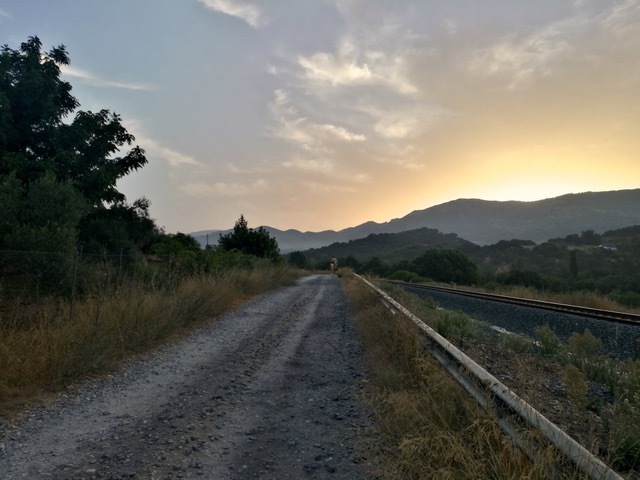 The Gran Senda connects to what is called the Camino Mozárabe de Málaga, which finally leads to, you guessed, El Camino de Santiago. In addition, the Gran Senda also forms part of the European Grand Tour tail network, which crosses the Mediterranean region and ends up in Greece. In other word, there is no end to caminos for those of us who like trotting along. 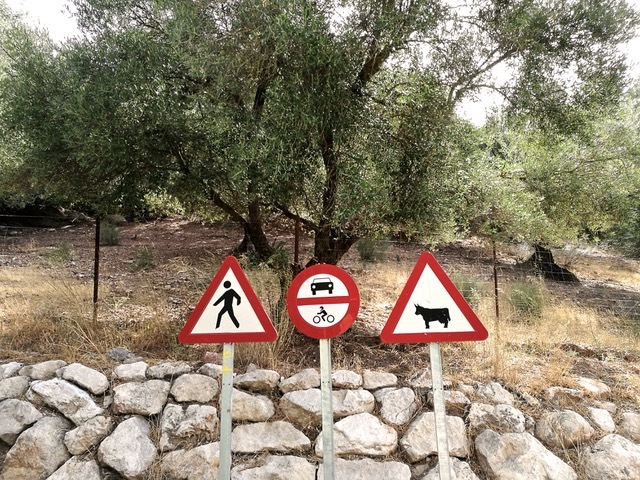 Each Andalucian village offer some services and amenities, but not every pueblo will have food stores open on holidays, nor special pilgrims’ menus or restaurants that serve breakfast for road wary wanderers at the crack of dawn. You will usually find several bars in every little town, but the menu might be more liquid than solid. Likewise, there is no certificate or pilgrim passport to be stamped in every town. Nor are there any prizes at the end of the journey, other than the joy of having completed a good days walk. But that is a prize in itself, as good as any. My husband and I plan to walk ‘the real thing’ one day, but in the meantime we keep exploring the village-to-village caminos on our southern soil. 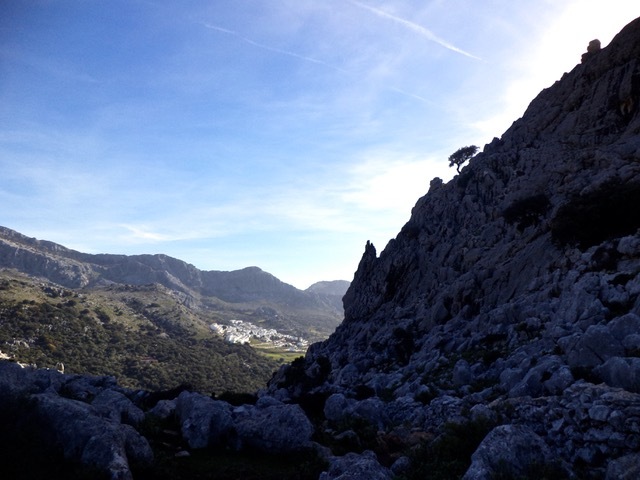 Our last camino was a two-day trek from Ronda to Estación de Cortes de la Frontera and back. To us, this is a perfect kind of walk. You have decent sized villages appearing every 10-15 kilometres for refuelling. If we leave Ronda at sunrise, we are in Estación de Benaoján in time for a late breakfast or a second java injection. 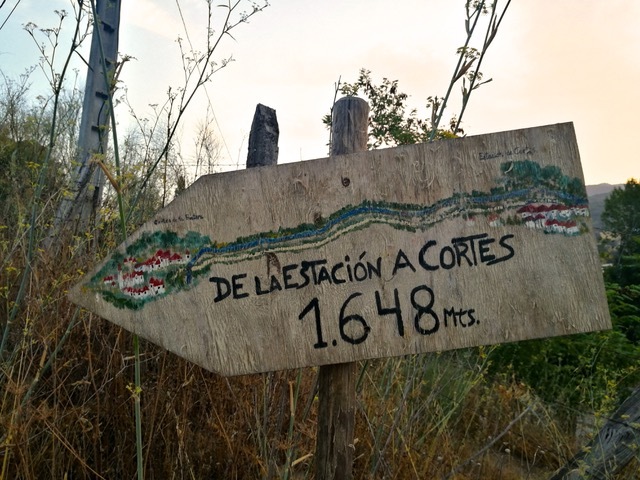 Then we continue on to Estacíon de Jimera de Líbar, where we can put our feet in the fresh river that runs through town. After watering ourselves inside and out and enjoying lunch in a local eatery (there are only a couple) we can proceed to our destination. As an additional benefit on this particular route, there is a train going along the same valley, so should we happen to indulge too much at lunch, we can always pop on a train for the last section. I know, I know. Resorting to public transport is not the way of real peregrinos, but in my view life has to be a balance of effort and pleasure, or pleasure and penance for the devout. The next morning, we were ready to hit the road or camino before sunrise. 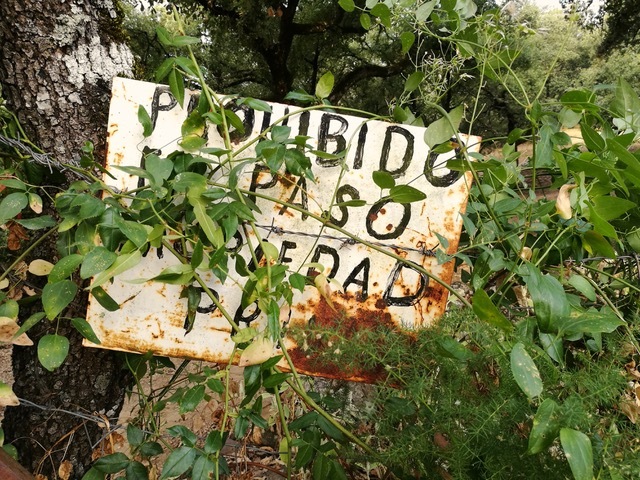 We had seen a sign for the trail back to Jimera de Líbar the night prior, so of course we didn’t think of inquiring further. 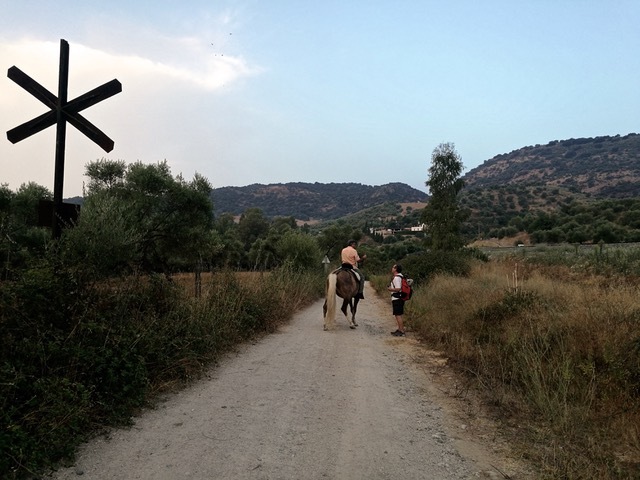 (Hindsight is 20/20…)Once we no longer could find the road marks and had taken half a dozen unnecessary detours, meeting dead ends and locked gates, we were lucky to run into a gentleman on his horse. He was going the same way, he said and pointed us in the right direction. Not completely unexpected, he turned out to be one of only three travellers we met on the camino that day. Following the horseman’s directions and sometimes the hoof prints in the sand (feeling very native path-finder-ish, I must admit), crossing a creek and later an up-to-our-waist river, we did finally come to the trail that lead to our first village, only to discover that the two restaurants were closed so there was no breakfast was to be had. Thankfully we had picked some blackberries on the trail on the day prior, so we survived until we got to Estación de Benaoján where we had a double breakfast and combined lunch to make up for our food intake deficit. We love every one of our Andalucian caminos – the ones that take off from our doorstep in the barrio and meander along the valley, the ones that crosses the sierra on steep and narrow paths with jaw-dropping views, caminos through private farmland where gates have to be closed not to let out the farm stock, and paths with or without end. 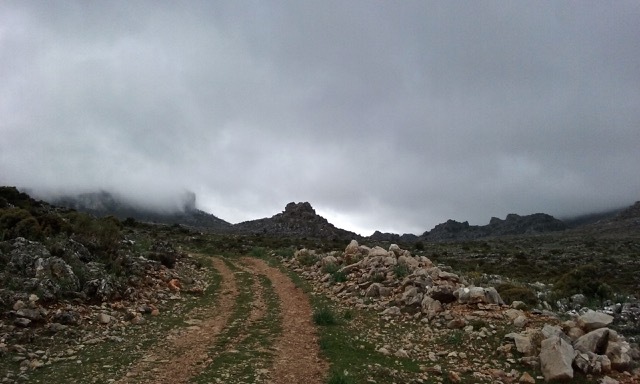 Maybe our Andalusian caminos are a bit more off-piste than the Camino, but what would a walk be without the unpredictability of loosing ones way and the joy of re-discovering ones trail and finding ones camino again. Nydelige bilder, utrolig spennende tekst.. og du kan så mye historie, kjære venn ! du er rett og slett knalldyktig ! Gleder meg til boka di kommer.